UPDATED NEW QUOTE BY ULDIS SPROGIS 274!!! This entry was posted in common sense and tagged answers, common sense, human nature, problems, questions, quotes, relationships, solutions, truth on April 9, 2016 by uldissprogis. Trying to find something is searching. 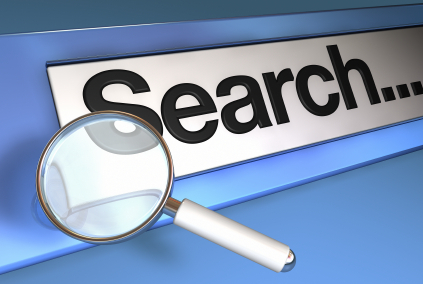 Some search for lost human contacts, some search for their car keys, some search for solutions to their problems, some search the internet, and most humans spend part of their lives searching for many objects, locations, information, and entertainment. You can search for something lost or temporarily relocated or you can search for something old or new to do or think about. This entry was posted in common sense, education, science, society and tagged common sense, education, information, locations, objects, science, searching, society, solutions, the truth about searching, trying to find on July 7, 2015 by uldissprogis. AN UPDATED CRITICAL THINKING WORKSHEET TO SOLVE EXISTING PROBLEM(S) 13 WAYS!!!!!! Most of the credit for this blog goes to the American Management Association or AMA for my updated excerpt from The AMA Critical Thinking Toolkit. Research the problem via other companies who have had or are having or have solved the problem already. What can I learn from comparing other similar industries which are having the same problem and try to determine the potential causes of their problems as they see it from their perspective. Make a list of plausible causal assumptions which you have made trying to solve this problem(s). Evaluate data and/or experiential evidence which supports/debunks your plausible causal assumptions. Make a list of desired results and/or solutions. Brainstorm the possible solutions personally and with others with a personal vital participation in the problem solving results and/or solutions. Research the resources and costs needed to implement the potential solutions, and make a cost analysis after each step which needs resources purchased as well as a list of pros/cons for each potential solution. Get feedback from diverse human groups including customer service, line managers, a focal group, as well as your team. Based on their feedback on your pros and cons re-evaluate and update your pro and con list. What is the best solution(s) based on the data and experiential evidence that you have gathered. Make an outline or procedural and/or serial course of action to get to the desired results and/or solutions. The financials should be evaluated along the way during the problem solving procedure and not just at the end to see if the solution makes business sense because during the problem solving analysis you may instantly determine that the course to the potential solution is not financially sound and that you have quickly exceeded your budget sometimes about half way through the problem solving procedure. You will save much time, energy, and money doing financial calculations along the way or during each step which requires expensive new resources. Create a quality test product which optimally fills the needs of the customer but also take into consideration subjective wants which maybe a majority of potential customer’s desires but something which they don’t really need. Test the functionality of a product on potential customers and get feedback on whether it is solving the stated problems. Update the information and/or goods and/or services or revise and/or redesign based on potential customer feedback. This entry was posted in common sense, education, globalism, society and tagged assumptions, common sense, critical thinking, education, experiential evidence, globalism, leadership, problem solving, problems, science, smarts, society, solutions on May 9, 2015 by uldissprogis.